For a live shooter, the included gaming remote and its intuitive analogue joysticks and triggers puts you in control of all 4-axes (pan, tilt, slide and focus) for cinematic moves. The spectrum ST4 is all about feel. 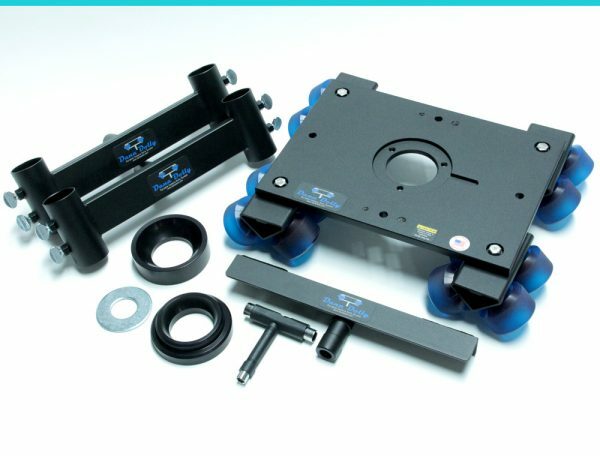 Unlike most other motion control units on the market, it has outstanding live control through the remote. The spectrum ST4 is armed with 10 different motor move presets – from turbo mode to quiet interview mode and everything in between. Set up important target positions that can be called up with a button press from the remote. Hit your target on time, every time, with the ramping and damping feel you select. Assign up to 4 GoTo frames to set up quick video moves and traverse between these points live. 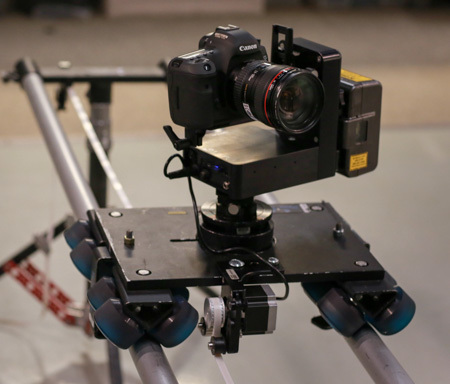 Set up a simple A-B continuous move to serve as your robotic second camera or push it further by adding 9 keyframes for maintaining perfect tracking and focus. Record/Playback mode allows you to record a move live and play or repeat that move over and over. You can also program spectrum ST4 to play the move back at different FPS or break it up into a shoot-move-shoot time-lapse. Stand out with 4-axis shot that include focus changes. The ST4 has built-in intervalometer to trigger your DSLR. It also integrates to all bulb ramping solutions (Timelapse Plus, Timelapse View, Bramper Pro, etc.). Shoot simple moves or program up to 9 programmable keyframes to get creative – no computer required. The spectrum ST4 is exceptionally power efficient and can handle long duration shoots with any 12-24 VDC source.